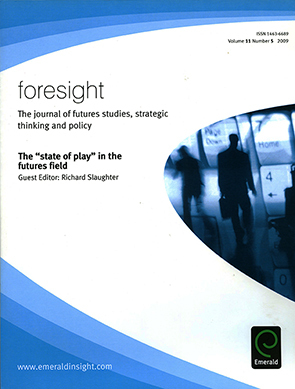 This section provides access to some of the material generated during this project and published in Foresight Vol. 11 No. 5, 2009. It provided a rare ‘snapshot’ of the field that gave rise to a number of significant issues and questions. The study arguably had great depth and breadth than previous work in that it used a well qualified international team of researchers and fully utilised integral methods.